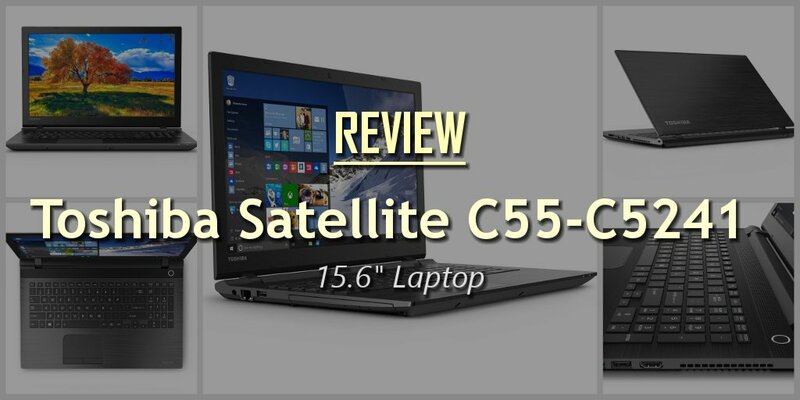 Welcome to my review of the very popular Toshiba Satellite C55-C5241 model. As I have written previously, my first laptop was a Toshiba 2003 model from the Satellite range. Now it was a very good computer and had excellent design features such as being able to play audio CDs even when the laptop was powered off and high quality speakers that were clearly audible even when the laptop lid was closed. Looking at the C55-C5241 model we are reviewing today, it also belongs to the same Satellite range. Remarkable how things have changed in just over ten years isn’t it? The Satellite range today is a mix of traditional laptop designs, 2-in-1 convertible PCs, and ultraportables. The various ranges start from the C range which are basic laptops from 15.6 inches, the CL series which are more portable at 14 inches, the stylish S series starting from 15.6 inches, the slim and powerful S series, and the 2-in-1 computer series of Click and Fusion, with the ultrathin Radius series rounding up the range. The Satellite C series has two main models, the C50 and the C70. As you can guess, the C50 is the one with a 15.6 inch screen and the C70 gets the 17.3 inch screen. The processor options are the Pentium range, the 5th Generation Broadwell Intel Core processors, and the AMD A4 and A8 models. Most of the laptops in this range are as you expect basic models but are nevertheless more than powerful enough for home and multimedia use. 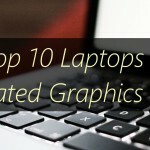 The laptop has an attractive design that belies its budget pricing. The sleek brushed metal design on the lid certainly lends a premium air to the laptop. However this is not real metal, just a textured resin which gives that appearance. It is nonetheless very good looking. The laptop is only 0.93 inches at its thickest point. A thin case made of plastic is liable to flex when torsional stress is applied and this holds true for this laptop too. While this is not a dealbreaker, it’s something to bear in mind. Looking at the left hand side of the laptop, we find the power jack, a 10/100 ethernet port, a single USB 2.0 port and the DVD-RW drive. Unusually, the DVD drive is on the left hand side and the fan exhaust is on the right. So if you are right-handed and using an external mouse, you may find hot air blowing on your hand when the CPU is under load. On the right hand side of the laptop, we find the other USB 2.0 port, a USB 3.0 port, an HDMI port, a headphone/microphone combo jack, an SD card reader slot, and a Kensington lock port. The front of the laptop is clean with no ports and just 2 indicator lights – the battery status indicator and a wireless signal status light. The C55-C5241 has 802.11b/g/n wireless support, bluetooth, 10/100 Mbps ethernet LAN, 1 HDMI, 1 USB 3.0 and 2 USB 2.0 ports. What immediately strikes me as an issue is that there is no support for Gigabit networking, that is 1000 Mbps ethernet speed support. This is one of the ways laptop manufacturers differentiate between their basic laptops and more expensive models. Why is Gigabit ethernet important? If you intend to use your laptop in a home or office network, or with a Network Attached Storage (NAS) drive, the fastest way of accessing it is via Gigabit ethernet. Gigabit ethernet supports speeds of upto 1Gbps which is 10 times faster that this laptop’s 10/100 Mbps ethernet port. The 802.11n band WiFi on this laptop can realistically only reach speeds of 100 to 150 Mbps as it does not support the newer and faster 802.11ac standard. So what else is missing? VGA and DisplayPort are the most obvious ports that are missing. Apart from certain office environments, you will probably not miss the VGA port at all. DisplayPort is rare on laptops of this class and so that is fine as well. Another criticism I have is that the laptop does not have the latest USB 3.1 Type C port. This is however not critical on a laptop that is primarily aimed at light multimedia use. USB 3.0 is good enough. The keyboard is a standard QWERTY type and has a full-size numerical keypad with separate arrow keys. There is a good amount of free space between the arrow keys and the surrounding keys, eliminating accidental key presses. The Page Up and Page Down keys at the very right edge is also a great feature if you are used to this method of scrolling through large documents and webpages. The trackpad is on the smaller side and has an odd rounded edge at the top. There are separate left and right click buttons which is a welcome change from other budget laptops that seem to have click buttons integrated into the touchpad. 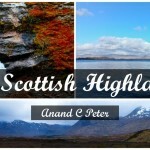 The 1366×768 resolution HD screen is again pretty standard and is of the very common glossy type. The glossy finish enhances the contrast and makes colours pop, but also makes it difficult to use the laptop outdoors in sunlight. If you want to enjoy 1080p material, you will have to hook up the laptop to a 1080p monitor or TV via the HDMI port. The processor is a reasonably fast Core i5 of the U type from the Broadwell generation, also known as the 5th Generation Core processor. Skylake is the latest processor architecture, but let me remind you that this particular Broadwell processer was launched only in February 2015. Broadwell has seen one of the shortest lifecycles in Intel’s history and so I would urge you not to reject Broadwell processors just because Skylake has been released. The 8 GB of RAM available is adequate and it is of the energy saving L variety. The RAM frequency is 1600Mhz and comes installed as 2 x 4GB sticks in the SODIMM slots. So if you want to upgrade the RAM, you won’t find a free slot. You will have to discard both existing RAM sticks if you want to take advantage of the speed boost from using dual channel DDR-RAM. The laptop supports a maximum of up to 8GB per slot, so you could up the system RAM to a total of 16GB. The 1TB 5400rpm hard drive is nothing special, there is no SSD here and this is understandable given the low cost of this laptop. There is only an integrated graphics option available, the Intel HD 5500, so this is not a gaming machine. You can play some games at reduced quality but really this is pushing the laptop a bit too far. What will benefit though is the battery life, heat and noise levels as there is one component less that needs power and cooling. The Core i5-5200U processor in this laptop is a high mid-range CPU and has a CPU Mark of 3543. This shows that the CPU is pretty fast and is more than suited for office applications such as word processing and spreadsheets. Photo editing, light video editing and even some occasional gaming is possible thanks to the strong CPU. The bottleneck in this laptop is likely to be the 5400 rpm hard drive. A Solid State Drive(SSD) or at least a 7200rpm drive would have sped up data transfer a lot. While there is not a lot of bloatware pre-installed, there is a lot of Toshiba-branded utilities and software installed. The worst thing here really is only McAfee antivirus itself which is the first thing I uninstall whenever I wipe and reinstall my Dell laptop. Interestingly there is no official claimed battery life, but users have reported between 3 and 7 hours depending on the application. This is very respectable for a laptop that is not designed to be very portable. The lower end of the market is unsurprisingly crowded and there are plenty of competing offers from all the big laptop brands. 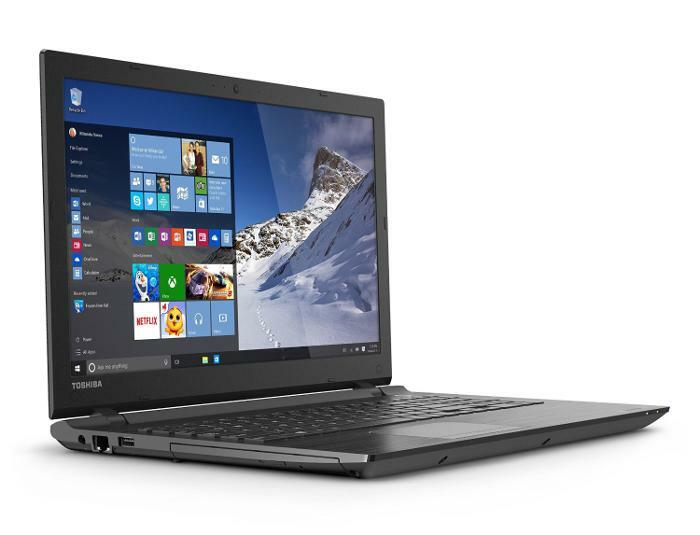 The Toshiba Satellite C55-C5241 is a very good laptop for home, student and office use. It is well suited to everyday tasks such as web browsing, HD video viewing, light gaming and office applications. A modern, sleek and attractive design and sensible pricing make it a great choice for the home or office. It does have a few weaknesses such as the integrated graphics, the slow mechanical hard drive and the rather flimsy case, but these are tolerable given the budget asking price.